SAVE $67.99 on your order today! Talk about an amazing space-saver! 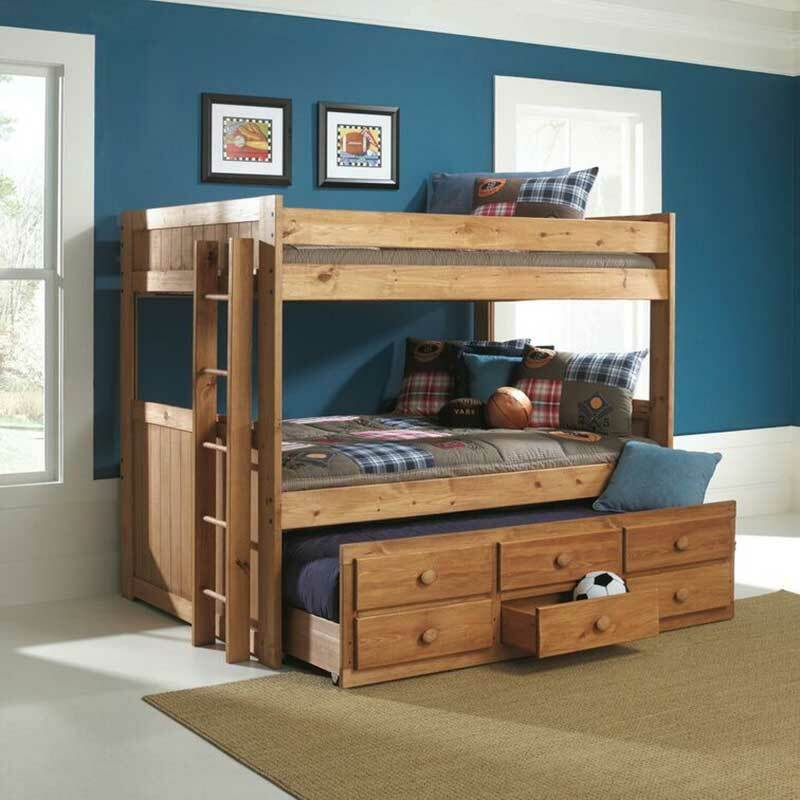 Thanks to its built-in trundle unit, you're looking at a bunk bed that accommodates not just two but three kiddos. Its warm wood will complement any color palette, and those drawers are a great place to store extra blankets. Includes bunkie boards.